Nijmegen, The Netherlands, May 10, 2017 – Ampleon today announced its participation at the forthcoming International Microwave Symposium, IMS. 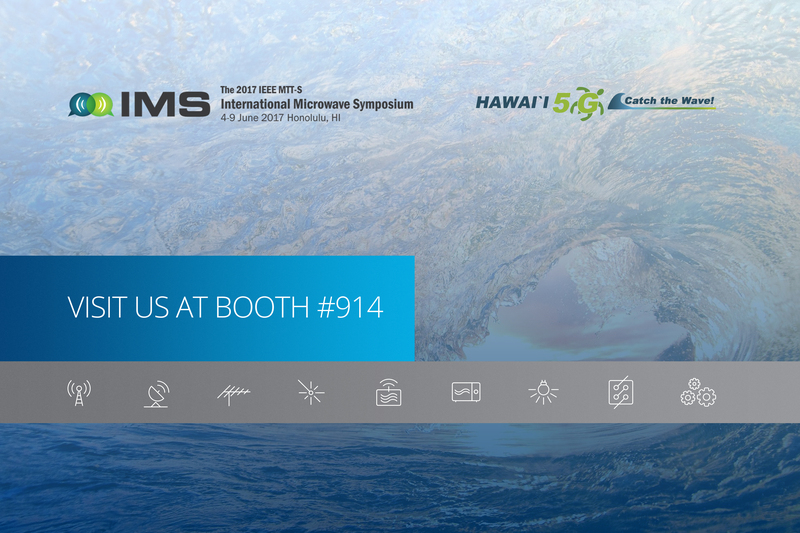 At the booth # 914, Ampleon will showcase its latest RF Power devices and modules suitable for use in Mobile Broadband, Broadcast, Industrial, Radar and Avionics, and RF Energy applications. Product demonstrations for Mobile Broadband include several power amplifiers for base station, small-cell and massive-MIMO applications using Ampleon’s latest 32V and 50V LDMOS and GaN processes, as well as a multiband power amplifier covering simultaneously 2.3 to 2.7 GHz (bands 40 and 41) linearized with a Xilinx DPD solution on Xilinx 16nm Zynq® UltraScale+™ MPSoC devices. Other applications include a 400 Watt S-band pallet, a 900 Watt UHF broadcast design and a 2,000 Watt 127 MHz ISM band amplifier. Also on show will be a 433 MHz, 200 W pallet with integrated sensing for use in RF energy applications. Ampleon’s LDMOS product portfolio includes broadband devices, transistors for Doherty amplifiers, extremely rugged high power devices designed for industrial, scientific and medical applications, and transistors for civilian radars. The GaN-on-SiC line-up includes high power broadband devices and drivers. In addition to a comprehensive line-up of their latest products and solutions, Ampleon staff are also actively participating in the conference programme. Sergio Pires will present a workshop “Power Amplifier Innovations for 5G systems” on Sunday, June 4, Talk 6 (assignment location will be provided onsite). Xavier Moronval, who is one of the finalists of the IMS Industry Paper competition will present his paper (TU2G-2) “A Compact 60 W MMIC Amplifier Based on a Novel 3-Way 1:2:1 Doherty Architecture with Best-in-Class Efficiency for Small Cells” on Tuesday, June 6 from 10.10 to 11.50 AM in Room 316A. Andre Prata will be presenting his paper (TUIF3-17) “Towards Circulator-Free Multi Antenna transmitter for 5G” on Tuesday, June 6 from 15.40 to 17.10 PM at the overlook concourse at the Hawai’i Convention Center. Raheem Qureshi will present his paper (THIF2-10) “High efficiency RF Power Amplifiers featuring package integrated load insensitive Class-E devices” on Thursday, June 8 from 13.30 to 15.00 PM at the Overlook Concourse at the Hawai’I Convention Center.